I knew they got big, I'd even heard tales of them swallowing divers whole. Not sure I believe they get that big. Nothing better than spending a Sunday afternoon - post dive - cleaning my dive gear whilst listening to Scuba Radio. Sometimes I'll follow that with writing my logbook and having a cold lager. Two incredible dives yesterday at North Monastery. First time in many years that I've managed a dive at Monastery, especially North. Weather has been really good the past few days, no storms, no recent rain, so the conditions for diving were excellent. Divers over the weekend were reporting excellent visibility and flat seas, so we took a chance and drove down to Carmel on Monday morning (6:30am). Initially we were planning to dive Pt Lobos, but given we got there so early, the favorable conditions and the fact that we were at Monastery before 8, and Lobos doesn't open until 9 (I think), we just pulled off the road at Monastery and took a look. Both dives were at the North end of the beach. Since I was last there, a small stream has formed between the road and the beach, and a small "hill" has formed, which you must climb over to get to the beach. These both make access a little more strenuous. After our "ascent" of the hill we did buddy checks at the top of the beach. We then took the precautions of getting "mask on, regs in mouth" before descending the beach to the water. Crossed the surf zone as quickly as possible. Not many waves, and what there were were mere "ankle biters", though given this was Monastery, we still showed them a lot of respect - pausing our entry and bracing to let them pass. A few yards in, and the beach takes a sudden drop, you got from 2 feet deep, to five. I'm always happier in 5ft of water though, so I was glad to lay back, and start my fin donning. Yes, my BCD was already inflated during the BWRAF! The dive destination was the wash rocks, which on the first dive was nice and high out of the water (less so on the second dive!). A good body of kelp surrounded the rocks. Of course, that's a mixed blessing. Thick kelp is great during the dive as it attracts the critters that we want to go see. 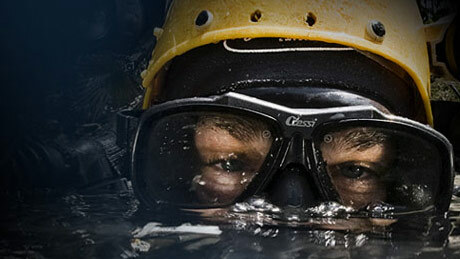 However, during the surface swim, it's an obstacle that requires some navigation. 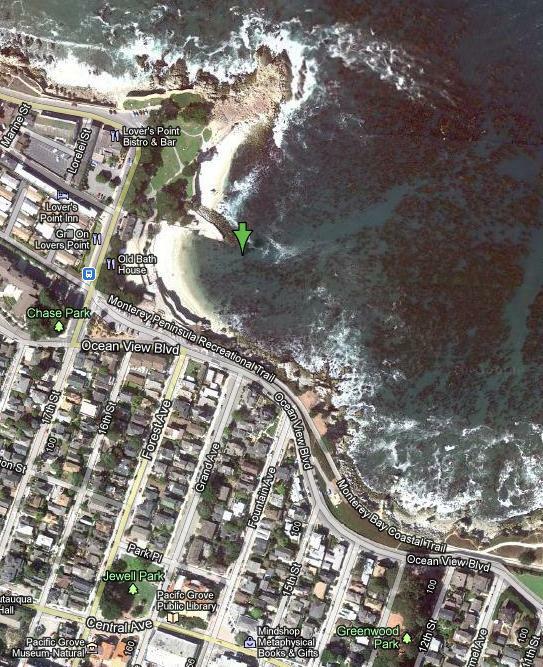 Swimming out to the rocks, and navigating the kelp took a good 15 minutes. Finally we got to the dive site. Compass bearings from the water: 130degrees to the beach, 40degrees (and 30 feet) to the wash rocks. For the first dive, we dropped down into about 30 ft of water. We started to swim out, directly away from the beach. We were swimming over a rocky/bouldery bottom, which didn't take long to drop down to about 80ft. There were several nice formations, ledges, holes. On this dive we saw many large lingcod (18inch to 3feet). Perched on rocks and also swimming around. I'm used to encountering them sat on or between rocks, but not used to seeing so many of them swimming around near us. There were also a few nice sandy areas where the terrain sloped gently down away from us. I presume those sand channels would take you down, down, down, to the depth of the canyon. Cool! When we got down to 1500psi we started the swim back to shore, on a roughly 150degree bearing, until we hit sand, and the edge of the kelp, then we swam in along the edge of the kelp until we were in about 10ft of water, where we surfaced not too far from the beach. This dive started at roughly the same place as the first, but this time, when we dropped down, we swam out on a 0degree heading. At first this took us through a narrow channel, between the boulders, but shortly it opened up into a very nice wide, flatter, but still rocky, "ocean garden". We swam out a little way until it got sandy (at about 70ft depth). We saw lots of nudibranch, a vermillion rock fish, a few large (I mean big) sheep crab. Once it got sandy we turned left (I'm going to assume a 270degree bearing) and swam across the slope, until we encountered a nice big rock, providing us an interesting wall to explore. This rock, 20ft high, 50ft diameter) was quite barren, with the exception of many decorator crab of varying sizes that were roaming around it. There were plenty of cracks in it, which I imagine were full of shrimp, though I didn't see any. I could hear shrimp the whole dive though, even on the surface swim out. We swam around the wall, and it took us back to a bouldery area (probably the one from the first dive). Saw an incredible sunstar - huge! - 30inches. Again a few ling cod on this dive, but less than the first. Definitely a "crab dive" this time, but due to the terrain, I would say a nicer dive. Visibility again was incredible - I would estimate it to be 30 ft. Due to this clarity there was plenty of light down there, considering it was a 70ft dive it was not gloomy in any way. A real treat to be diving with three other people and to have no trouble seeing every diver in the group as we fanned out to enjoy the views in the kelp forest. None of the usual Monterey worry of becoming separated from your dive buddy. That was another real treat! The exit was must the same as the first. 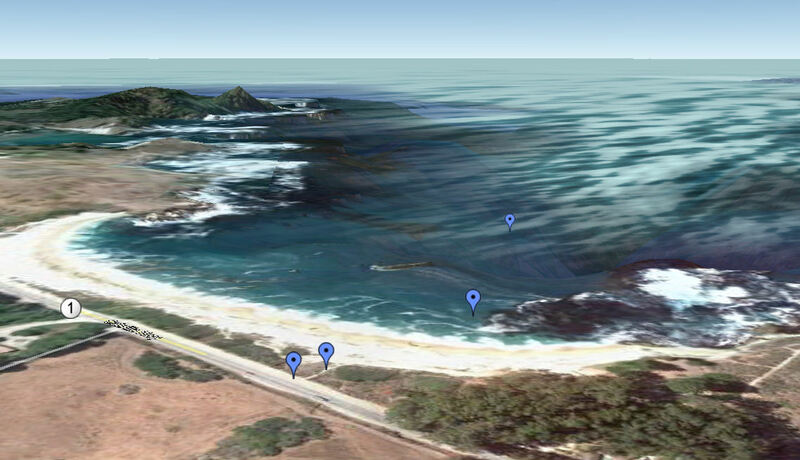 We swam back to shore skirting the kelp forest, with the kelp on our left. Surfaced in about 10-15ft of water. The waves had picked up a little by the end of this second dive, but still a very respectable exit onto Monastery beach (no Monastery crawl required!). Two wonderful dives. Both exceeded 70ft, and lasted 40 minutes. Visibility was incredible at around 30ft. The wildlife on display was varied and "supersized"! What a great way to start the week. We were wrapped up with the dives and heading back to Jose's by noon. Doing the drysuit class at the moment. Pool session today was a piece of cake. At the ocean on Saturday. My only concern is that I'll like it too much and then I won't want to get wet ever again! We lost our lease. Store closing sale Saturday, February 11th at 9:00a.m. 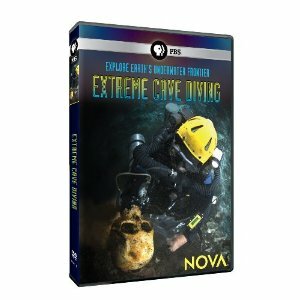 ... it's time to try the new workout that celebs like Jessica Alba, Sandra Bullock, Katie Holmes, and Nina Dobrev of the CW show The Vampire Diaries love: scuba diving! I'm not sure I want scuba diving to become the latest fad diet of Hollywood celebs. Being a fad diet will just encourage lots of overweight, middle-aged white guys to take up the hobby trying to get fit. And if there's one thing scuba diving has enough of already, it's overweight middle-aged white guys. Took me a second to get what's going on here! Yeah, the bubbles give it away. It's amazing how the air appears to behave just like a flowing liquid when you view it this way. I'm sure I wouldn't be able to move around that well upside down.